Numerous instances of marine mammals dying in record numbers have been reported along the west coast, particularly in California. 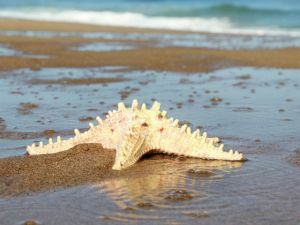 In November, NBC Nightly News anchor Brian Williams noted that something was killing the starfish, and environmental officials didn’t know why. Another reporter revealed that the epidemic is affecting waters from Alaska to Southern California, and has caused millions of starfish to literally fall apart and melt away – two species that used to thrive in this region have now vanished. The mysterious wasting disease is said to have spread to at least 10 species and is threatening more every day. Starfish are not the only creatures that are dying. More and more sick and dying sea lions, seals, and other marine mammals have been reported in record numbers. Southern California’s Orange County Register says the only facility in the county licensed to care for the ill marine mammals is at capacity, and other facilities along the coast are being similarly inundated. In Alaska, dozens of sea lions, whales and other creatures have also been turning up dead, with researchers there under the impression that radiation from the Fukushima Daiichi nuclear disaster may be the cause – particularly since many of the dead animals are showing signs of radiation poisoning like skin sores and baldness. A symposium on the 2011 Fukushima radiation and its effects on marine life was said to have essentially predicted these outcomes, noting that just months after the event it became evident to coastal communities and wildlife management agencies that there was a novel disease outbreak occurring in several species of Arctic ice seals. Symptoms associated with the disease included lethargy, no new hair growth and skin lesions. Even today, sick seals are continuing to show up along the shores between Barrow and Nome, but the cause of the illness is said to be a mystery. While some do believe radiation from the Fukushima nuclear power plant disaster is likely a factor, it’s never been proven. A lack of radiation sampling in remote areas after the explosion means no one really knows how much airborne radiation fell into the Bering Sea ice, or whether seals and other creatures may have been victims. King5 news in Seattle reported that scientists have tested for radiation and have found none. The executive director of the Pacific Marine Mammal Center in Orange County, Keith Matassa, says the leading cause is likely to be their food source. It may be something the mother is eating, a lack of milk, or that the pups were born too small to survive and are too weak to fish. Infectious disease is also said to have been ruled out. 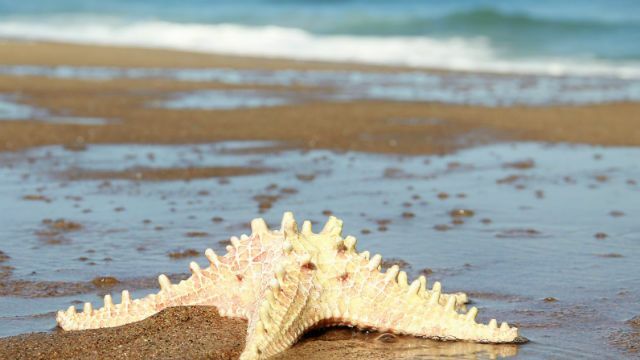 As to why so many starfish are dying, no one has the answer. The first major discovery of dying starfish along the Oregon Coast was found just weeks ago near the entrance to Yaquina Bay. An underwater survey found about 30 healthy starfish and 22 that had signs of wasting disease. Scientists have said they’ve never seen a die-off of this magnitude. If not radiation, then what? Whatever may be wreaking havoc on our marine life is likely harming the health of our ocean, and ultimately everyone and everything that lives on this planet. Hey Buddy!, I found this information for you: "Marine Animals Dying Along the West Coast". Here is the website link: https://www.thealternativedaily.com/marine-animals-dying-along-west-coast/. Thank you.